Dr. Ahmed Zachariah is a special individual. He could have chosen to practice medicine in the comfort of Sudan's capital city - or even abroad. Instead, his Christian faith led him to choose the path of hardship and service to his people by remaining behind in the war-torn Nuba mountains. Dr. Ahmed had no medicine. He had no equipment. He had no hospital. Now, he has all three - thanks to the generosity of PPF's ministry partners and his own resourcefulness. PPF's medical program has equipped Dr. Ahmed with vehicles, medicine, equipment, and building supplies so that he can build a proper hospital for a region with precious few medical resources spread over a vast landscape. The hospital construction is progressing well, and patients are already receiving a surprising level of care for such a remote territory. Dr. Ahmed told us he's even receiving patients from South Sudan, who walk across the border because Ahmed's incomplete hospital is the best medical facility in the area. We praise God for His grace and mercy in giving us the compassionate heart of Dr. Ahmed. And we praise God for your "active compassion" for our brothers and sisters in Sudan! The conflict in Sudan’s Nuba mountains has surpassed its sixth year, with unfortunately no clear end in sight. 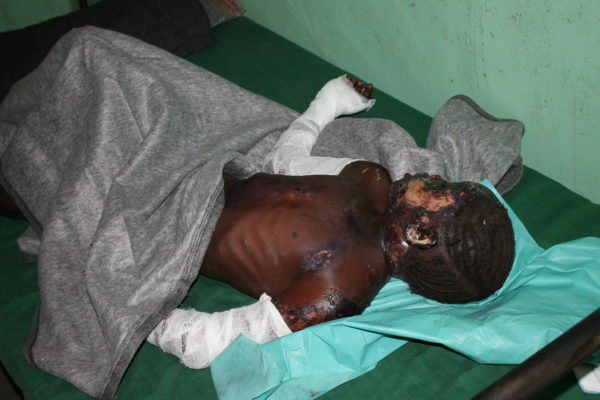 During this time, the Islamist government in Khartoum has tried to terrorize and starve the Nuba out of their homeland. The Nuba is home to the largest Christian community in Sudan outside the capital city. Most humanitarian organizations left the region very early into the conflict. But that’s when PPF showed up. 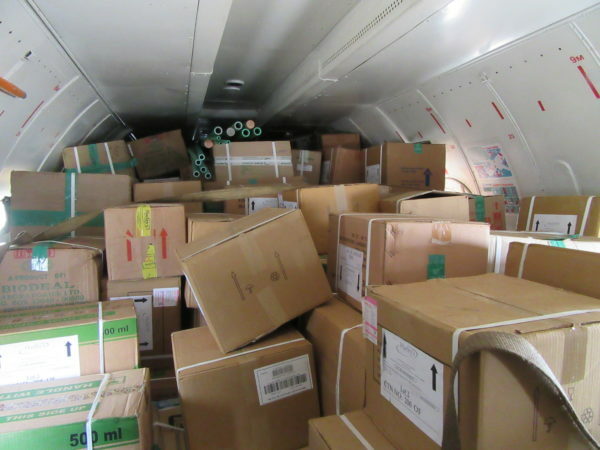 On July 4th, 2011, our assessment team arrived in the Nuba on one of the last relief flights into Southern Kordofan State. In August, 2011, we testified before an emergency hearing on Capitol Hill to warn Congress of the danger of a “repeat of Darfur” taking place. Our team then set about the process of reaching out in active compassion to the Nuba community left behind, and those seeking refuge in neighboring South Sudan. The generosity of ministry partners helped us start several outreaches, including deliveries of important relief and shelter supplies and medicines. Our Discipleship and Evangelism program has sponsored Pastoral Conferences, as well as the distribution of tens of thousands of Bibles, audio Bibles, and other discipleship materials to the growing Nuba church. 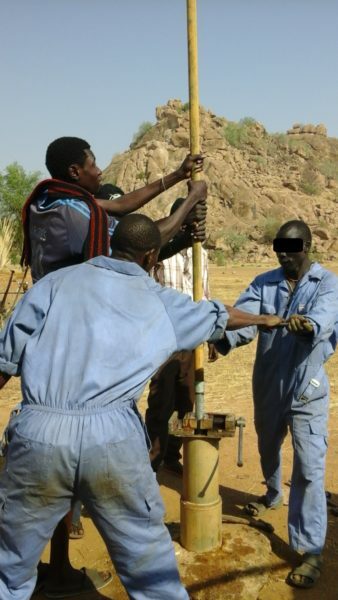 And our Safe Water Program began repairing broken well pumps spread throughout the Nuba region, providing clean water for hundreds of thousands of residents. Although the war has dragged on, creating famine conditions, the situation in the Nuba is much better than it would be had PPF not intervened. The head of the Nuba Medical Consortium, Tutu Turkash, stated that he didn't want to think about what it would be like if PPF was not working in the Nuba. “Having them with us here, where few others will come, it’s a game changer,” said Turkash. The Nuba church is growing amidst the conflict. With this growth, we can expect an increase in persecution from the Islamist government (II Timothy 3:12). It is a very unfortunate reality that US government policy towards Sudan has changed since the days when economic sanctions were first enacted and strengthened by Presidents Clinton and Bush, respectively. Regardless of whether one believes sanctions are an effective way to change policy in Sudan, the truth is that President Obama put the US on a definite track to “normalize” relations with one of the most brutal terrorist regimes in the world. And, as of this writing, President Trump’s administration seems to believe the Obama track is the right course to take. But the Nuba church knows that no matter which way the winds of politics shift, its mission will not change— for the church serves a Government that NEVER changes. This Government has a compassionate King, Whose reign will go on, and vanquish all competing parties with mercy, justice and love. The church in America serves the same King, and with the continued support of its members towards our brothers and sisters in the Nuba, PPF will continue its mission of “active compassion” for the persecuted. In April last year, Pastor Emmanuel Offendi from the war-torn Nuba Mountains of Sudan saw an all-too-familiar, pitiful sight: a ragtag group of people with only threadbare clothes fleeing another bomb attack. The group of 15 adults and children were not a family, but a group displaced from their homes and their land, and walking towards the pastor. The citizens of the Nuba Mountains are accustomed to war. For the last six years, the government has targeted civilians as potential supporters to the rebels. In fact, government warplanes have dropped well over 4,000 bombs on civilian targets since 2012. It is in this context that pastors across the region try to uphold hope and support. “We as pastors are generally good at talking to our community –but sometimes you feel lost for words –how can I encourage and support our people when looking at so many hopeless faces?” Ofendi asks. The pastor felt this way when he saw the group of displaced from Karkaria coming towards him. Fortunately Ofendi no longer feels quite so helpless when attempting to console others, largely due to the faith-based Persecution Project Foundation’s (PPF) unique relief distribution system. 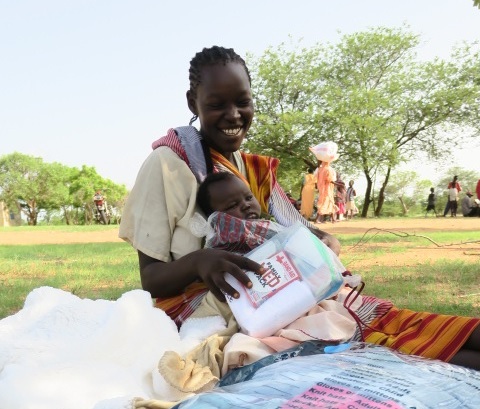 Besides providing the bulk of life-saving medicine to the Nuba people, PPF is also the main provider of non-food item support to the war-affected civilians. Items such as soap, pots, clothes, mosquito nets, sheets –all are crucial for displaced families that have lost literally everything. 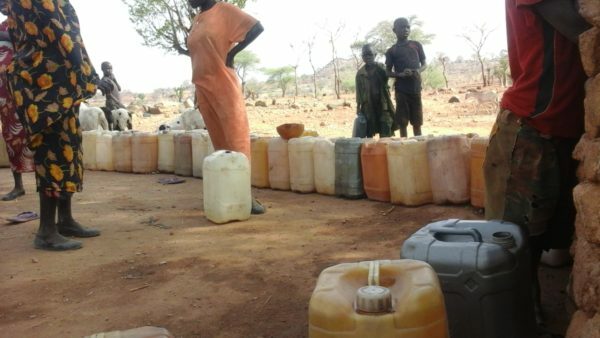 But how do you deliver such vital supplies in one of the remotest places in Sudan, during a war? The government effectively blocks most humanitarian aid coming into the country. 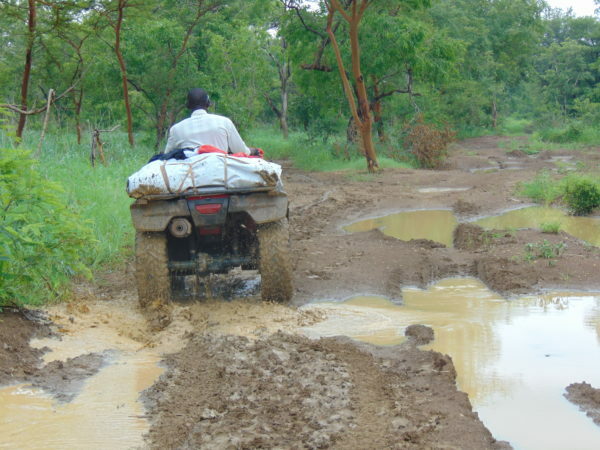 The rainy season, from mid June to October, muddies roads and makes access routes impassable. Not least, many of the most needy are displaced and live in remote locations –seeking shelter from the war by staying in caves within the mountains. Fortunately for PPF, pastors are available to help—and do. 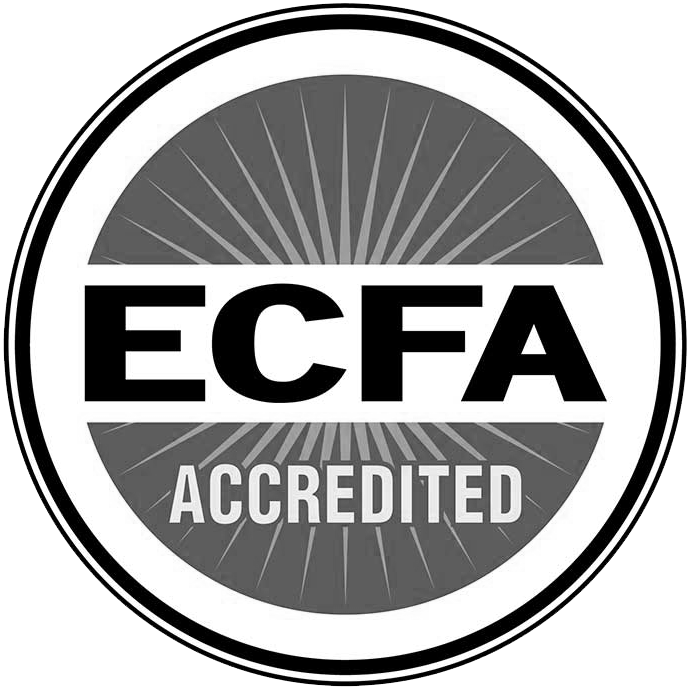 As God-fearing individuals trusted by the local community, pastors are uniquely qualified to assist. “When we bring items, we ensure it goes to people who are really in need. We check with local authorities and through our own networks to ensure that,” Offendi explains. Working hand-in-hand with local community leaders, PPF Field Coordinator Kuti Rajab says they have managed to distribute kits smoothly, without issue. According to recent UN estimates, roughly a quarter of the population in the central rebel-controlled counties in the Nuba Mountains are displaced from the war –that’s around 120,000 people currently homeless. Fortunately, the sense of community and sharing still thrives in Nuba, to the point where everyone relies on one another. “Even if the kits are not enough –our people somehow manage to share what little they have,” explains Alferic, The pastor went on to explain how he has seen those who have received relief packets share some of the items with their neighbours, despite the fact all of the items were sorely needed by the original recipients. But there is another group of people desperately in need that are not necessarily recipients of these kits: the pastors themselves. “Often the church has no money and we must rely on contributions from our congregation,” Offendi explains, “but how do you ask for support from those who have nothing?” PPF realized that if they wanted the pastors help distributing kits and to continue preaching the gospel –they needed to help these church leaders in return. 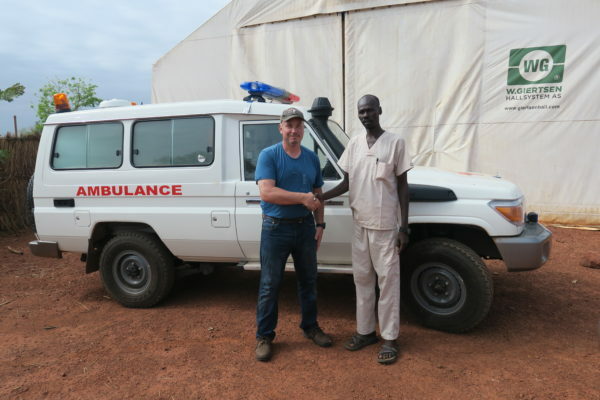 By Tim Rice By mid-March, an aid convoy managed to reach an extremely remote, war-torn area of the Nuba Mountains in Sudan: Kau-Nyaro and Werni counties. Effectively cut off from the outside world due to conflict, the UN estimates around 45,000 people living in these counties are considered the most affected by the six-year conflict in the Nuba Mountains. The South Kordofan-Blue Nile Coordination Unit, an organization that monitors food security and displacement in the two areas, reported last February that 242 people – including 24 children —had died of hunger-related illness in the two counties. 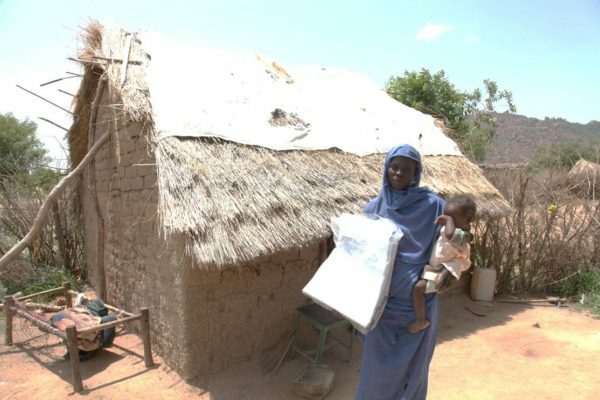 Now, for the first time, vital medicine provided by Persecution Project Foundation (PPF) reached one of the most isolated areas in Sudan, if not the world. But no area of the restive Nuba Mountains is easily reachable, and the Sudan government wants to keep it this way. The central Khartoum government effectively blocks any aid from reaching the rebel-controlled areas of the Nuba. The government’s blockage follows their military strategy -- a war of attrition against the Nuba people -- since the conflict began in 2011. “In the wars of Sudan, food and medicine have been more effective weapons of genocide for Khartoum than bombs and bullets,” said Phillips. Despite these challenges, PPF managed to deliver 44.5 tons of medicine and medical supplies to the Nuba Mountains in 2016, making it the single largest supplier to the region, according to PPF Field Coordinator Kuti Rajab. While the support is great, the need is still greater, Phillips concedes. There still remains a 25% gap in available medicine for the region, and health facilities are few and far between. 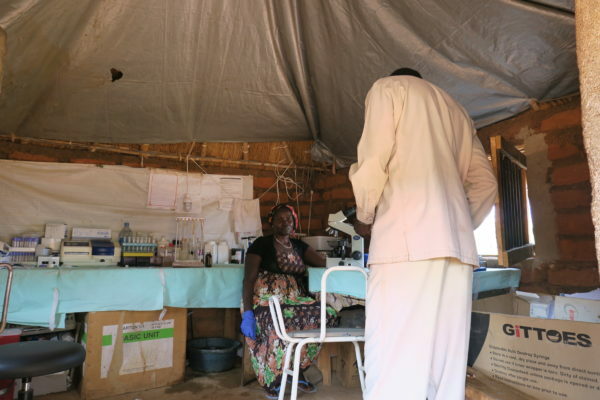 The UN estimates there are 70 active health facilities functioning in the rebel-controlled areas of the Nuba Mountains – that means one facility per 12,600 people. There are four hospitals serving roughly 1.5 million – and one of these hospitals, Gigeba Hospital, is still being built. PPF is providing the bulk of the medicine and much of the construction materials for the upcoming facility. The hospital is designed by a local Nuba doctor, Dr. Ahmed Zakaria, who, incredibly, managed to pick up a degree in architecture while completing his studies in medicine. Already, many patients are being treated there despite the fact the floor is only partially complete, and most window-panes are missing, Dr. Zakaria said back in December, 2016. “It’s really helping people in Western Jebel,” says Tutu Turkash, Secretary of Health for the rebel-controlled areas, speaking about the new hospital. “Now it is able to provide services for the people there and reduces the number walking two to three days to reach Gidel [Mother of Mercy Hospital] – our main facility.” Out of 52 clinics in the area, Turkash added, Gigeba is the only hospital. 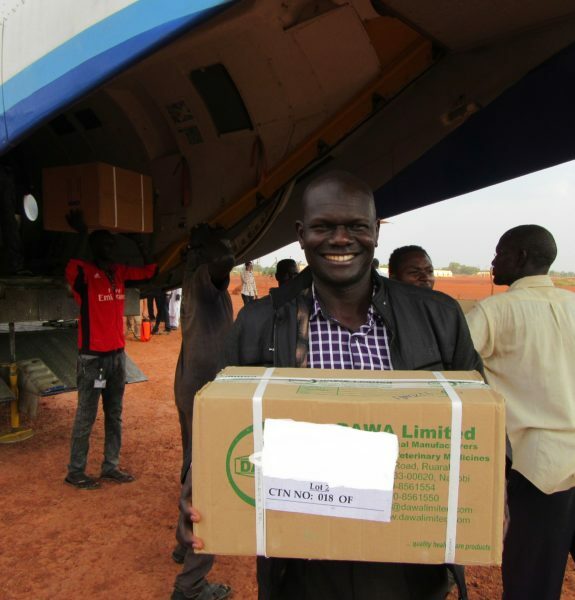 But getting this medicine to the Nuba Mountains is no easy task. Kuti Rajab recalls a time in 2014 when it took the PPF team two weeks drudging through mud to get two trucks of supplies delivered. 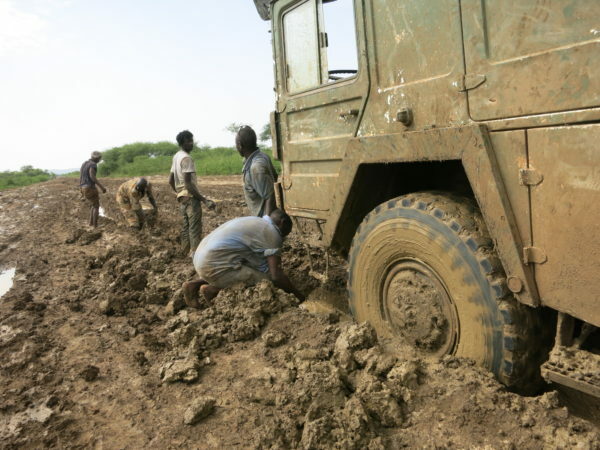 A medical consignment was delayed forcing PPF to deliver supplies during the onset of the rainy season where roads become intractable and the rebel-controlled areas of Nuba are effectively cut off from the outside world. “We really struggled, but in the end succeeded to get the shipment up there, pushing the trucks through mud for days on end,” Rajab remembers. But in many ways, mud is the least of their worries. The Antonov, a lumbering but deadly warplane used by the Sudanese government, is a common bane for the Nuba people. 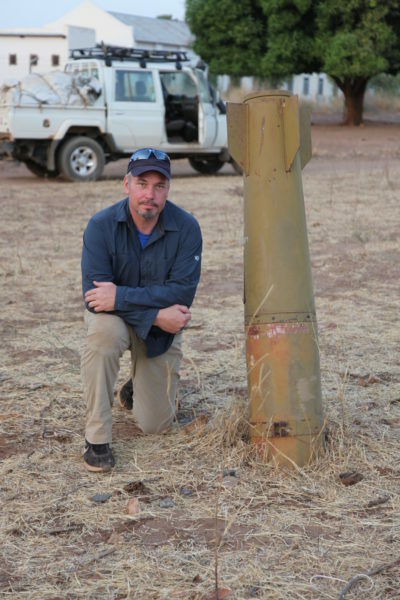 Since 2012, the Sudan government has dropped over 4,000 bombs against civilian targets in the Nuba Mountains. One of these planes hovered above PPF’s medical-supply convoy. “When we see them flying above we stop all movement since, if you move, they will spot you,” Rajab explained. “Since we were on the road there was nowhere to hide, we just had to stop while the plane flew overhead and pray they don’t bomb us.” Fortunately for Rajab, their prayers were answered on that journey. Once in Nuba, local partners often have to find secure and creative ways to deliver the medicine. To reach Western Jebel, a restive area in the Nuba Mountains, a convoy of 20 motorbikes was used to deliver medical supplies, Phillips said. The roads were so poor, only motorbikes could make the journey – a journey that was done partially at night to avoid detection by enemy combatants. And once medical supplies reach health facilities, there is still a chance of an attack. 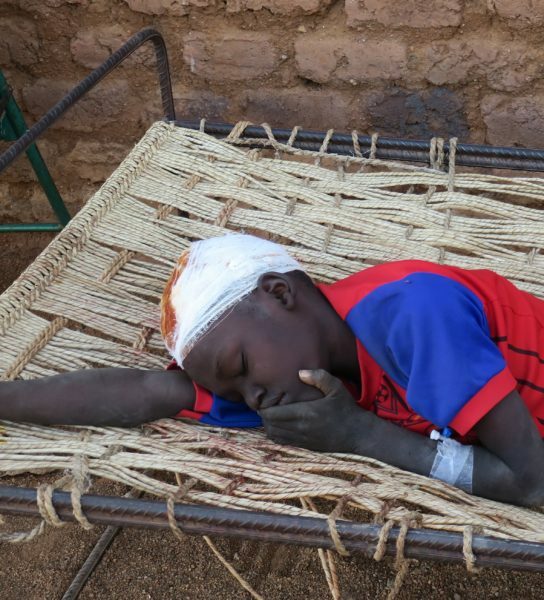 Since 2012, Sudan warplanes have targeted hospitals at least five times, according to Nuba Reports, a media house that documents the conflict. According to Turkash, Sudan forces have attacked 24 clinics in three counties of the rebel-controlled Nuba Mountains since the war began in 2011. Relatively new challenges for the Secretary of Health in the Nuba Mountains are hunger-related illnesses. Harvest rates for the Nuba Mountains were less than half their average production, according to the Secretary of Agriculture in the rebel-controlled areas, Hafsa Idriss. This, coupled with displacement from the conflict, has led to skyrocketing prices for staple commodities, reaching ten times their normal market prices. “Although maybe not noticeable at first, many people in Nuba are suffering growth retardation from malnourishment,” said the Director-General of Health Joseph Konda. “This can only get worse in the current situation we are facing.” To address this problem, PPF added another commodity to its support: the high-nutrient BP-5 biscuit. “BP-5 is expensive, but a great resource for getting high-nutrient food to the severely wasted or malnourished in our hospitals or clinics,” said Phillips. “We don't currently have the capacity to feed everyone, so we are focusing on the greatest needs — mostly children and IDPs [Internally Displaced Persons]. Besides delivering medicine to a remote war zone, providing materials and upkeep to hospitals, among other projects, PPF hopes to provide even more holistic medical support to the Nuba people: care for the caregivers. Everyone in the Nuba Mountains has witnessed and contended with death due to the war, especially those in the medical field. “We see nurses and doctors saving lives every day,” Phillips said, “but they are also seeing death every day.” For this reason, PPF plans to provide trauma counseling for medical staff. “It vexes your soul, it makes you angry and then sad – you can’t help but be affected,” said Philips, reflecting on some of the tragedies he has personally seen while working in the field. But the stress will not slow the organization down as it plans to expand its health programs across the region. On February 25, 2017, just one day before missionary Petr Jasek was released from prison in Sudan, I delivered a brief address to a room of American public policy people. Some were activists. Others were elected officials. Many were the donors supporting both. This was an audience I don’t normally address. Persecution Project Foundation is not a public policy organization. We’re a ministry to the persecuted church. Politics may affect what we do, but our focus is mainly to love and serve our persecuted brothers in the areas of physical and spiritual needs. The summation of my remarks was this: the indigenous persecuted church in places like Sudan, constitutes a vital national security interest for America. Contrast this with the Sudan church. What we have seen in, for example, the war-torn Nuba mountains of Sudan, is that the indigenous church forms a bulwark against the forces of Islamic extremism, which desires to wipe out the Nuba community (both Christian and Muslim). While the Sudan National Intelligence and Security Service terrorizes the country’s population by leading the infamous Janjaweed (“Devils on Horseback”) militias in places like Darfur, Southern Kordofan, and the Blue Nile, the Sudan church is confronting these forces of extremism everyday— but not with bombs and bullets. The weapon of the persecuted church is the Gospel of Jesus Christ. It is the ministry of mercy the persecuted church engages in which changes hearts and minds, and rolls back the advance of extremism. For example, at one pastor’s conference in the Nuba mountains last December, one day of community evangelism resulted in the conversion of 70 Muslim families. For those families still part of the Muslim community, their relations with the local church are stronger than ever. In fact, the local church reaches out through compassion and service to bridge together differing faith communities. This bridge breaks down traditional fears and prejudices. It’s hard to hate someone who shares their meager food stores with you in a time of famine. It’s hard to fear someone who gives you medication to save your child from malaria. It is for this reason, and many others, that the US Government needs to view the indigenous church as a strong partner in the War against Radical Islam in countries which have traditionally acted as factories for extremism. The Church in Sudan is a vital American security interest. It is my prayer that the US government will see the imprisonment of Pastor Hassan Abdelrahim Tawor and Abdulmonem Abdumawla (who as of this writing are still behind bars in Khartoum) as worthy of diplomatic intervention. But regardless of what public policy makers do, you and I can intervene right now through prayer and solidarity with our persecuted brothers. Petr Jasek said over and over again throughout his own 445 day imprisonment, “God holds the keys to my cell.” Let us pray for His will to be done and for Him to release all the captives, not only spiritually, but physically as well. The year 2016 was another record-breaker for PPF ministry outreaches. We met or exceeded all our goals in every program category. God was very busy working through your generosity to bless His persecuted! But the persecuted church in Sudan is not a passive recipient of help from PPF and the church in America. We too often see the persecuted church as a helpless victim instead of a part of the overall Body— which still functions despite its trials and tribulations. We were reminded of the resilience of this part of the Body in 2016 through one of the most effective projects we ever supported: sponsorship of Pastor and Evangelist Conferences in the war-torn Nuba mountains. In 2016, we sponsored several conferences, bringing together pastors and evangelists from the “Big Five” church denominations in the Nuba: Church of Christ, Evangelical Presbyterian, Episcopal, Catholic and Orthodox. The conferences were a time of fellowship, encouragement, breaking bread together, team-building, planning local outreaches, and growing partnerships. At the last conference of the year in December, 1,800 participants attended. It was the largest gathering of the Nuba church anyone could remember. One of the activities at the conference was community evangelism, where the pastors and evangelists broke up into teams and witnessed to the local community. The first day, they recorded more than 300 conversions. During the week of the conference, 70 Muslim families came to Christ. One Muslim convert stated: “I have never received this kind of love and compassion before.” Another convert was so moved by the actions of participants, he donated 1,000 Sudanese pounds to the Church (an enormous sum for people living in the Nuba). The Pastor and Evangelist Conferences are the perfect location for Bible and Audio Bible distributions, because church leaders can then take the consignment back to their respective villages and language groups. Additionally, most of PPF’s emergency aid, whether it be in the form of tarps for shelter, emergency food, blankets, or refugee kits, are distributed by the local church and used as a platform for evangelism with the Nuba people. PPF aid is distributed without discrimination. Even enemy POWs receive gifts from the local church, led by the efforts and example of Pastor Morris Cartina. One famous POW is Brigadier General Refaut Abdallah Ahmad, who was captured in 2013 and has been featured on the Al Jazeera network. May this be said of all of us. When the enemy is on our doorstep, it often changes our perspective. This is especially true of the Church. During peacetime, we have the luxury to argue and fight with each other about various points of doctrine. Some of the arguments are petty. Some are important. But rarely is one of the “important” issues of doctrinal divide the subject of Church unity. We treat unity as a luxury, not as essential to our survival. Unity communicates a message to people. It certainly communicated a message to the 70 Muslim families recently converted in the Nuba. Were those families convinced of the Gospel message by examining the peculiar doctrinal positions of the presenter? No. They were convinced by the unity and testimony of the Nuba church. And “unity” is not the absence of conflict or disagreement. Unity is the determination to love and serve each other despite obstacles. Thank you for standing united with us, as we stand united with our persecuted brothers and sisters in Sudan! Through the Years, We HAVE Made a Difference Serving God Together! The old man in the picture to the right is from an area of the Nuba mountains which was the scene of intense fighting this year. More than once, the village where he lived was evacuated, as residents fled the Islamist ground forces of indicted war criminal, Omar al Bashir. As you can see from his swollen hands and knees, this man has suffered from severe arthritis. A local missionary took the photo of him holding medicine from a PPF shipment which had just arrived, providing him with relief from pain for the first time in years. The second photo is of Rashid, a polio victim who was a recipient of one of PPF's hand-powered tricycles. Rashid, like most polio victims, had to crawl around in dirt and filth for most of his life. Now, he is raised up - and very mobile. Your compassion towards these men is considered a crime by the Islamists in Khartoum. Yet, you keep giving, and God keeps working to change hearts and lives. Thank you for your witness of love to the persecuted. According to the Islamist government in Khartoum, delivering a few tablets of medicine to people living in the war-torn Nuba mountains is a crime against the state. But so far in 2016 alone, PPF has delivered dozens of metric tons of medicine, including life-saving drugs like antimalarials - and more is on the way! We recently received a field update praising God for the successful delivery of the meds to 175 health facilities spread throughout the mountains, ensuring that most Nuba residents have access to some medical relief no matter where they live. Thank you for your dedicated support of this important work!